og used to be man’s best friend – but that’s not true anymore. Not for guys who own an expensive iPhone XS Max anyway. Their new best friends are clearly found in the new iPhone XS Max cases. These expensive phones need protecting from dust, sand, lint, everyday bangs, scrapes and of course, the number one killer of all smartphone screens – accidental drops. Whether you’re just a regular guy navigating the urban jungle day in and day out, or a competitor in the mobile phone throwing world championships – yes this actually exists! 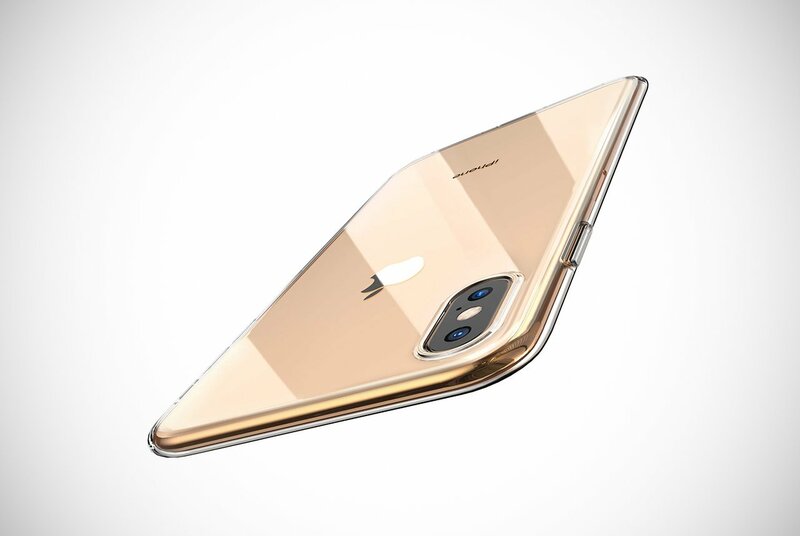 You’ll need a case to protect your valuable iPhone XS Max, as this phone is too expensive to just leave unprotected. 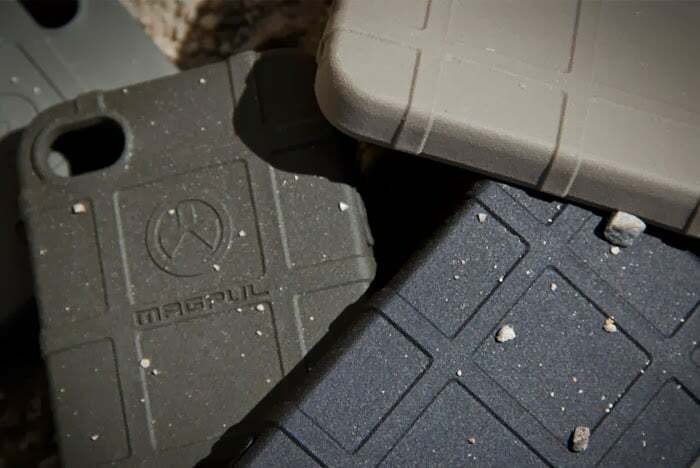 The smartphone case market is saturated with manufacturers telling you about every molecule and fiber in their product and why you should buy it. All these details can be quite confusing. To make life easier, we at Men’s Gear had our own iPhone XS Max throwing championships. That’s not entirely true but we kinda wish it was. We did get together, though, to take a good look at what’s currently being offered to you Apple heads. After much deliberation, we finalized our top 25 iPhone XS Max cases. We know… 25! There’s just so much choice out there, but we were decisive we promise! 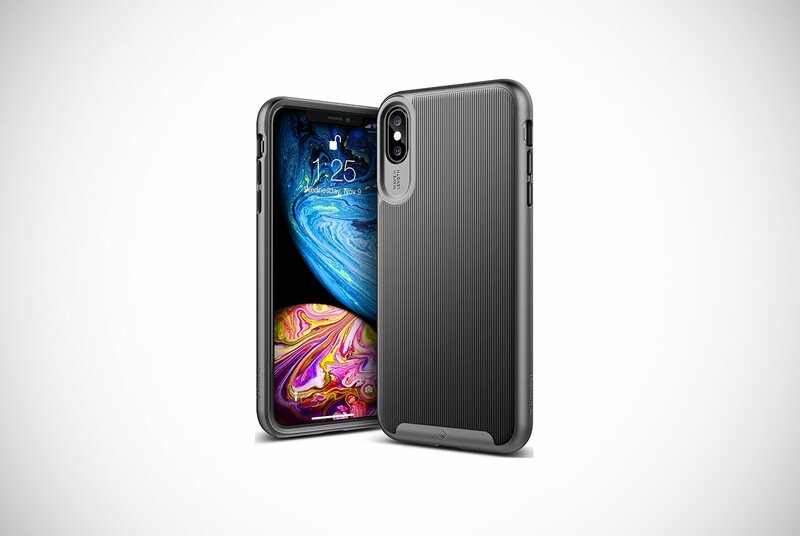 What Are The Main Things To Consider When Buying An iPhone XS Max Case? When looking into iPhone XS Max cases to buy, there are a couple of important considerations. The biggest question of all is to ask yourself what you want from a case. Do you just want the ultimate in smartphone protection? Or are style and specific features important to you as well? Some cases focus on making sure your iPhone is as secure as possible. These ones usually wrap around your phone giving it back, screen and edge protection. Some other cases offer their protection alongside other uses, such as doubling as a wallet to keep transport passes, cash, and cards at the ready. Some even have a kickstand to give you handsfree video streaming and video calling. There’s one specific feature you’ll have to consider if you charge your phone in a certain way. If you buy yourself a snazzy wireless charger, you’re going to have to get a case that is wireless charging compatible. Unless you want to take the case off each night and on again each morning? We thought not. What Materials Are Most iPhone XS Max Cases Made From? 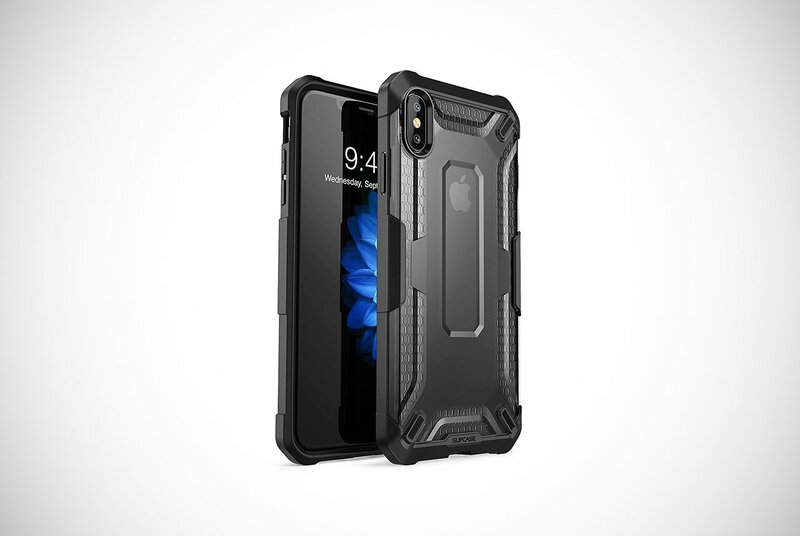 Most iPhone XS Max cases have been designed to absorb shock upon impact. As a result, a lot of models make use of polycarbonate materials. One of the most indestructible on our list (product number three for the impatient man) even uses air pockets to help with shock absorption. Those cases that have a secondary function as a wallet are often made with artificial or genuine leather to add to their image and design. The leather is sometimes reinforced in certain areas to add durability. 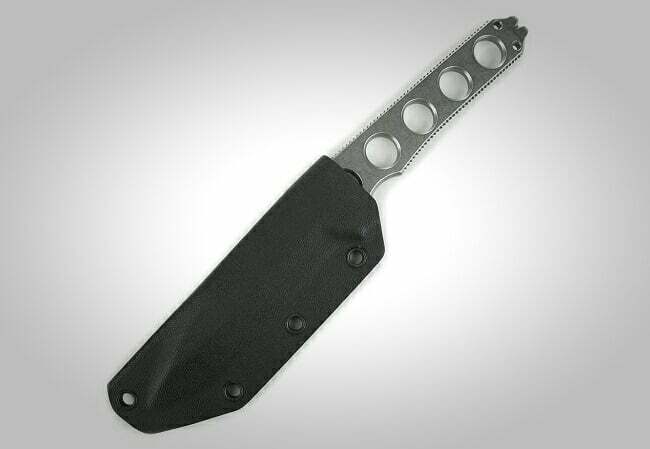 They may not be as protective as cases which solely focus on their primary function as a case. Overall though, it’s not the worst material to settle on despite its use being incorporated on its secondary function as a leather wallet rather than a phone case. 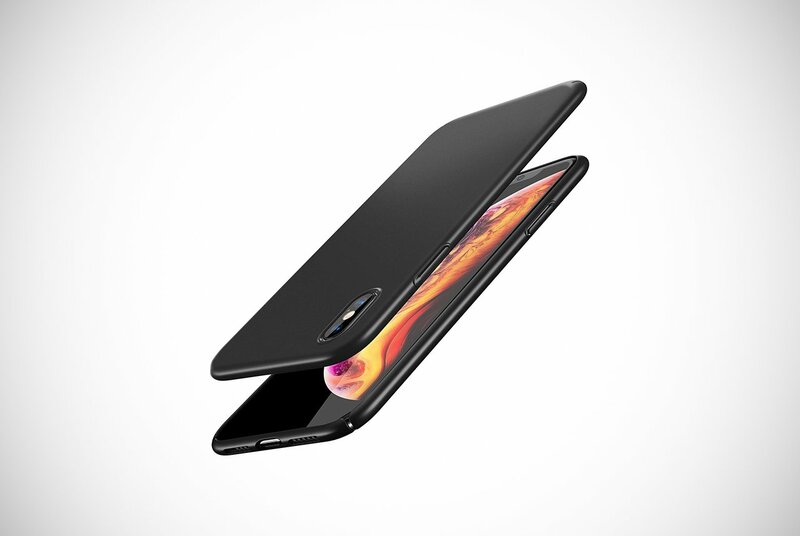 One of the first iPhone XS Max cases we’d like to show you is this terrific design made by Spigen. The case has a hybrid design to take care of the rear assembly of your phone and a bumper to protect the edges. The back is rigid for solid protection while the bumper offers a little more flexibility. This is a cost-effective option that comes available in three colors. It doesn’t look or feel bulky with its slim fitting that will make gripping the phone much easier. Some of the best features of the phone are a raised bezel which enhances the protection of your camera lens and wireless charging compatibility. If you have one of those spaceship-like chargers to keep your phone full of energy, this is a great choice for you. This is the first of a few SUPCASE designs we’ll be featuring on our list. 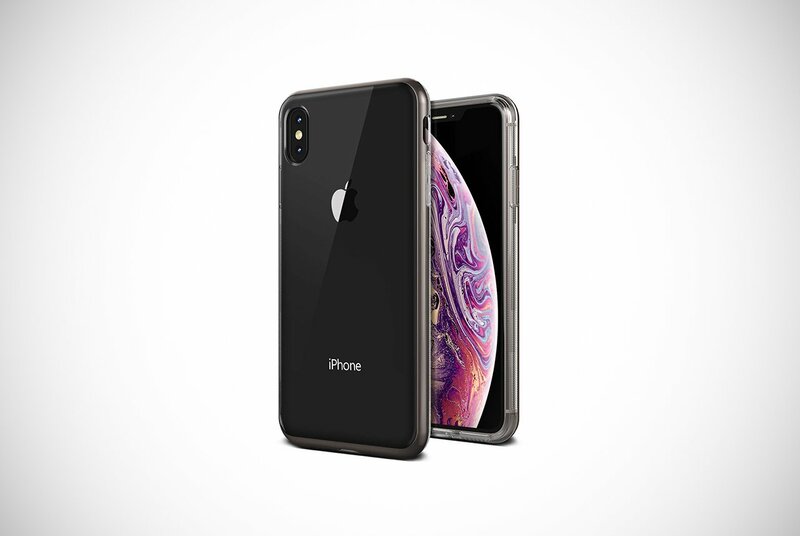 They have a couple of ranges out at the moment and these black iPhone XS Max cases are quite popular. This happened to be from their Neo Series. It’s been made with durable and hard materials such as polycarbonate to withstand clumsy dropping after too many beers. It even has screen protection so you avoid scratches by loose change, car keys or unsuspecting pets. This doesn’t mean you won’t be able to swipe through your social media easily though. The screen protector is still sensitive enough to trace your finger movements. 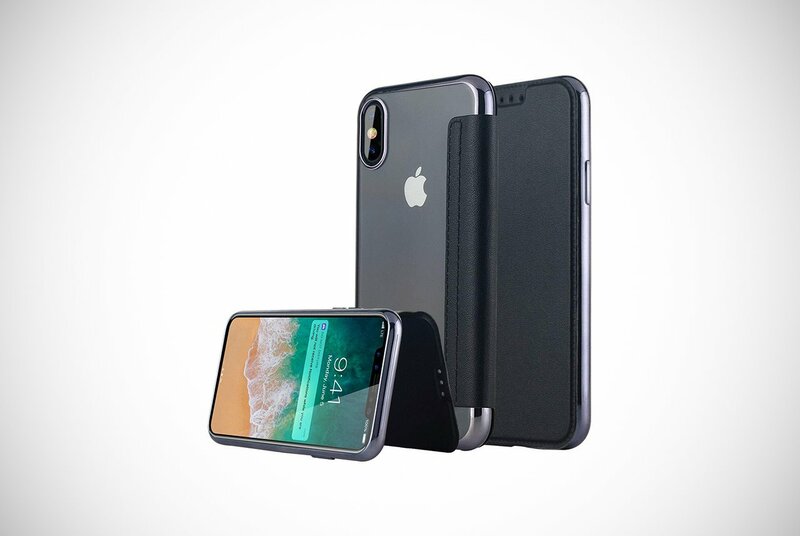 One final feature worth the column space is that this case also allows wireless charging with most third-party models. What d’ya reckon guys? The guys over at Mous like to test their product in somewhat Top Gear fashion. They take hammers to the screen and like to throw their phones over hard terrains. All we know is that their product seems to work very effectively. 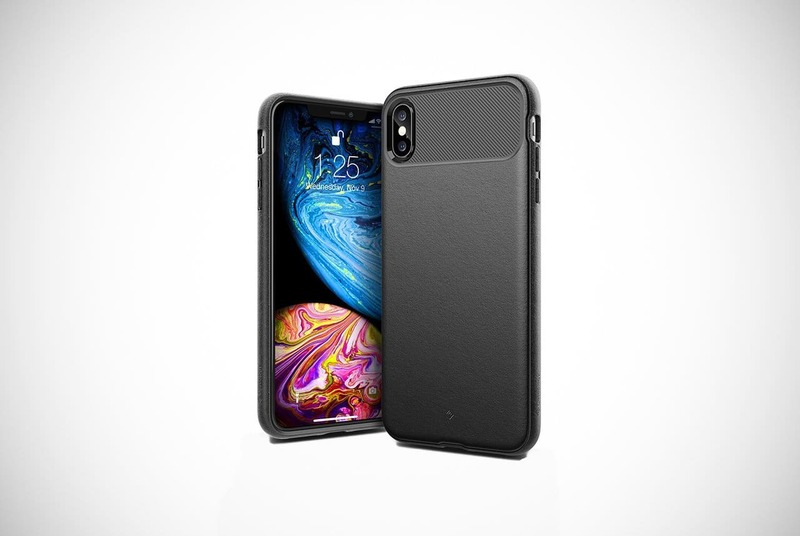 Why are their iPhone XS Max cases so durable? Well, they use AiroShock technology. Inside their cases, they have air pockets running down a polymer chain. The air pockets and polymer work together to absorb any impact when the phone is dropped or possibly assaulted with a hammer. We don’t follow you around to know what you do! You can see random members of the public testing their cases on YouTube if you have the time. 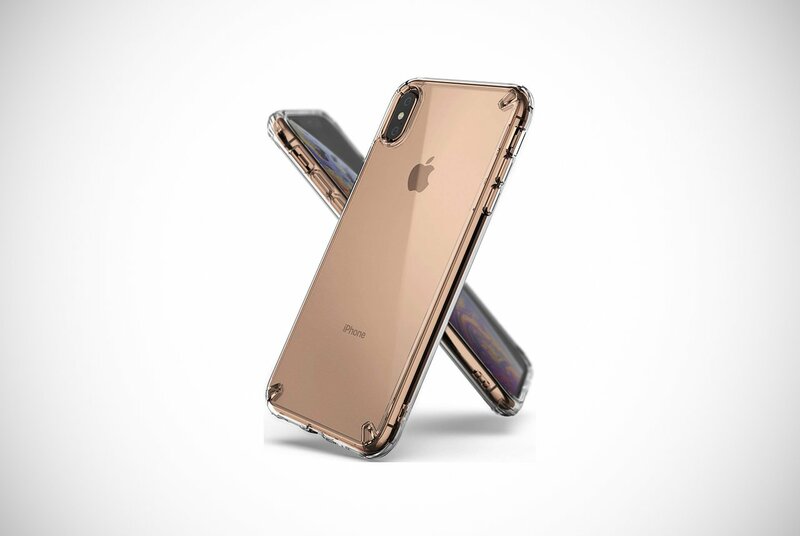 This particular model in their iPhone XS Max cases line has a part to protect your rear assembly. 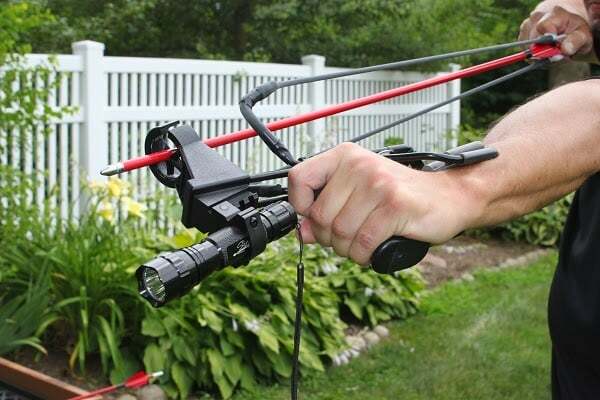 It also includes a bumper to guard your ports and a screen cover for all-around protection. They are made with unique materials that give them a stylish aesthetic. You can even get one made from seashells! What’s a little more unique is that each case has a hidden magnet inside so you can add more accessories to keep your keys and other valuables secure with it in one neat package. 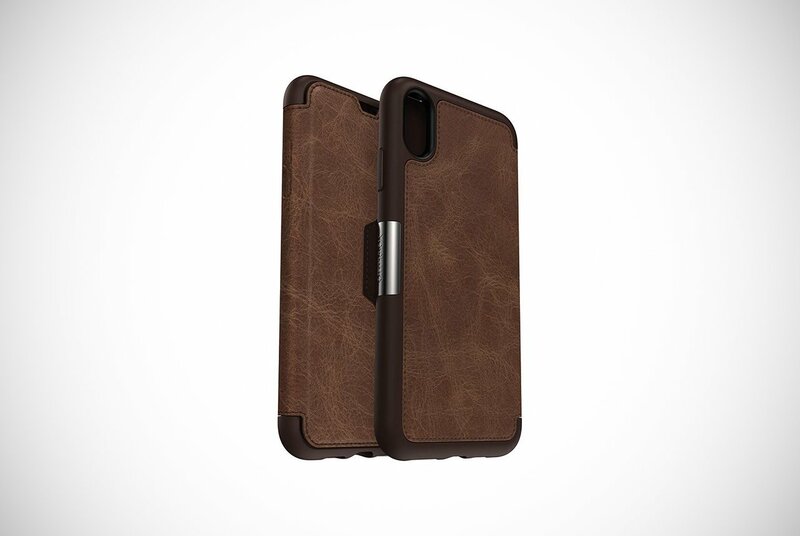 This is the first of the leather iPhone XS Max cases we get to show you, and we’re huge fans. You can get it in a brown or black color which looks sleek and stylish. 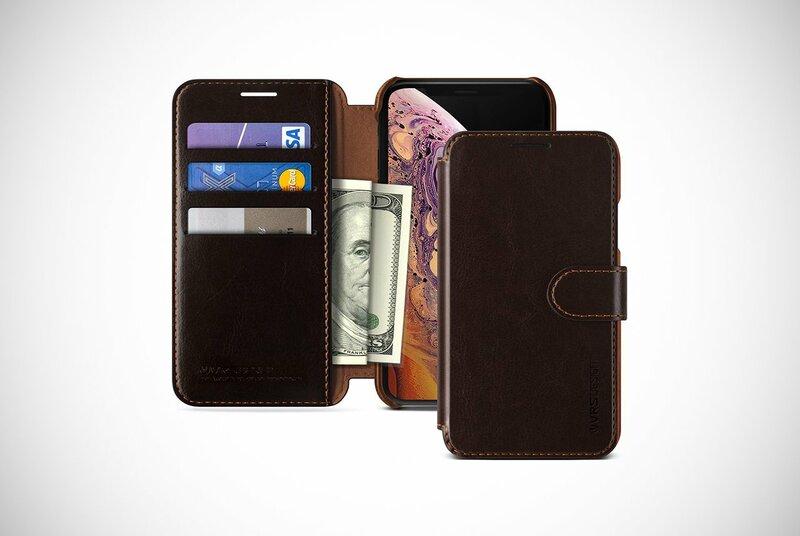 With most leather cases, they also feature as a wallet. What came first: the wallet idea or the leather idea? We think we know. The leather has been cut in certain places, so you can access all your ports and button without having to remove it from the case. One surprising thing about this case is that despite being made from leather, it also has wireless charging capabilities. As we explained, this case does also feature as a wallet. 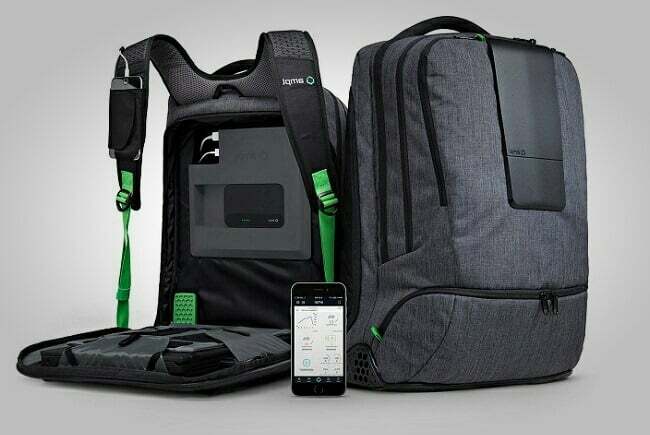 It has a side pocket and space for three cards, so you can take the bank, gym and your subway pass with you at all times. What’s even better is you can use it to hide your credit card from your better half. What’s not to like? Just like the wet look went out of fashion in hair gel, the same may be happening with phone covers and those wet looking bubbles that seem to accumulate on some models. 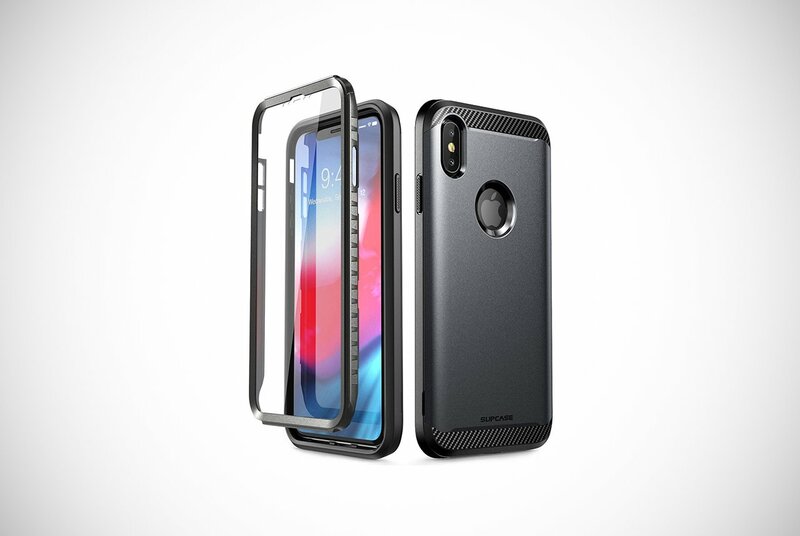 These iPhone XS Max cases are the answer to that problem. You can get your hands on one of these cases in up to three styles, all have a microdot pattern to avoid that wet look. Other than that, this phone is a solid choice for any guy wanting a slim case that won’t add bulk to your pockets. In fact, it’s made from soft materials and is only 1mm thin! This doesn’t take away from its durability though. Your Instagram game will still be in top form after drops as it even has a raised part in front of the camera for additional protection. This is for the guy who likes the slim fit shirt and skinny jeans look. Probably. If you’re seeking a masculine-looking case, you’ve found it. This SUPCASE design from their Beetle range looks tough. But, does it walk the walk? Well yes, it does! 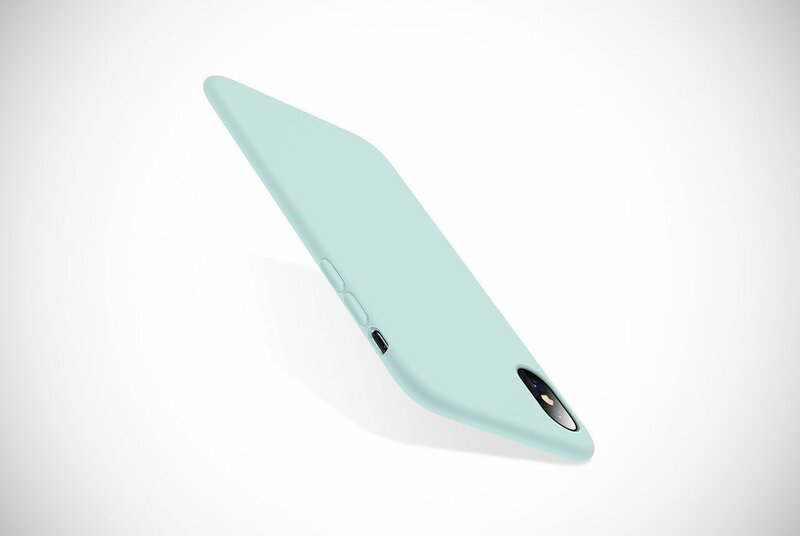 It’s a very durable and strong option that completely protects every inch of your valuable iPhone. The back case, the edges and corners, and the screen are secured in this design with shock-absorbing materials. Having a screen cover does not detract away from being able to operate your device seamlessly as sensitivity is maintained. Like many other iPhone XS Max cases, the camera area has a raised bezel so it doesn’t come into contact with dusty surfaces or lint. We’d choose the red one, which one would you go for? In a choice of three colors and a price tag to make you smile is this leather case by Casetego. 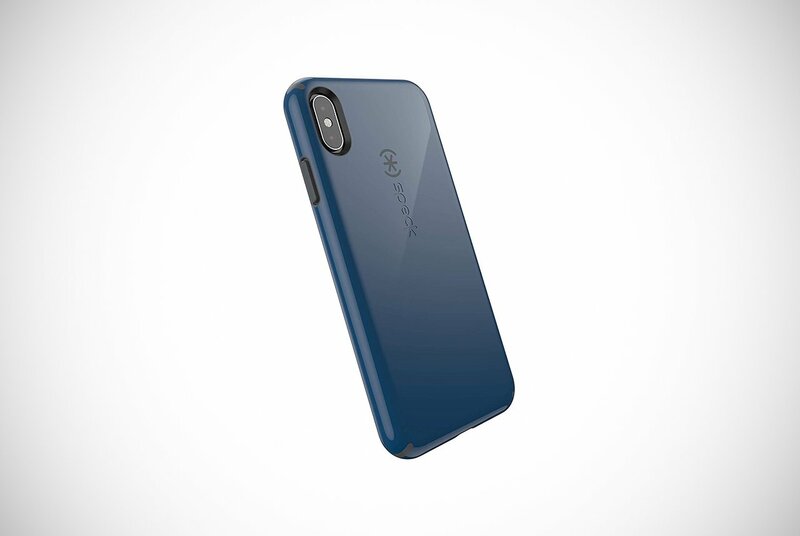 These iPhone XS Max cases are made from a combination of TPU and leather. This is done to provide outstanding durability and convenience. These guys have covered all bases when it comes to protecting every area of your phone. They’ve included back edges and screen protection. This along with extra protection at the corners and a raised bezel for the camera lens. The synthetic leather flap is where this case stands out. The flap uncovers a space for one of your cards. 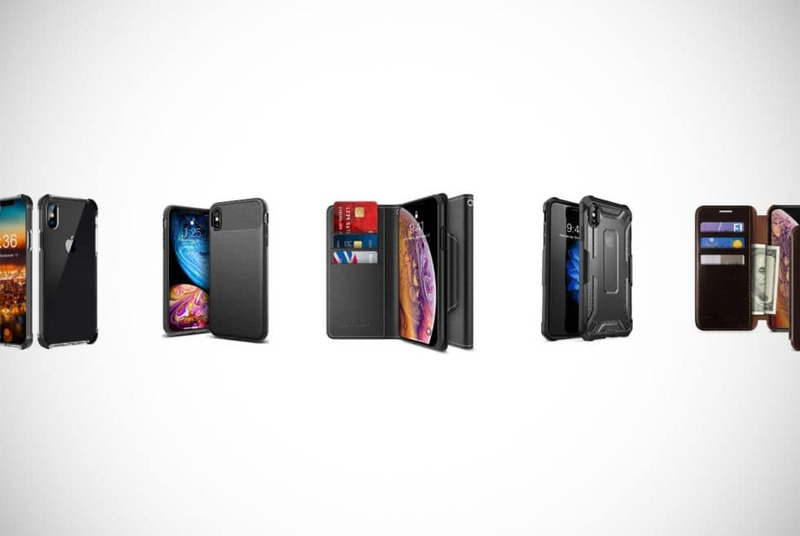 To get these wallet features on a smartphone case you normally have to opt for bulkier designs but this one has managed to add such a feature on a sleek case. It even supports wireless charging too. The flap has no (magnetic) closure! Sometimes a phone case includes a protective screen, but this may compromise on touchscreen sensitivity. Speck may have come up with somewhat of a solution. Instead of adding a protective layer to your iPhone’s screen getting in the way of operation, they’ve raised the surrounding bezel, so the bezel takes any frontal impact rather than the screen. This has led to some wild popularity for their iPhone XS Max cases. To make them more popular, Speck added two layers of protection for the rest of the phone. The outer layer is made from polycarbonate which is designed to disperse any impact while the inner layer is designed to absorb the shock as it passes through. This is something a bit different and definitely shows some more innovation! This phone case from i-Blason does in one part what the previous phone case took two parts to do. It’s made from a polycarbonate material which is hard and protective but includes a softer TPU core to safeguard your smartphone. It also makes use of a screen protector. Thus, the only cracks you’ll experience are when you crack open your next beer while watching Sunday Night Football. You can even charge it wirelessly and clip it to a belt! That’s not all, we’ve saved the best for last. 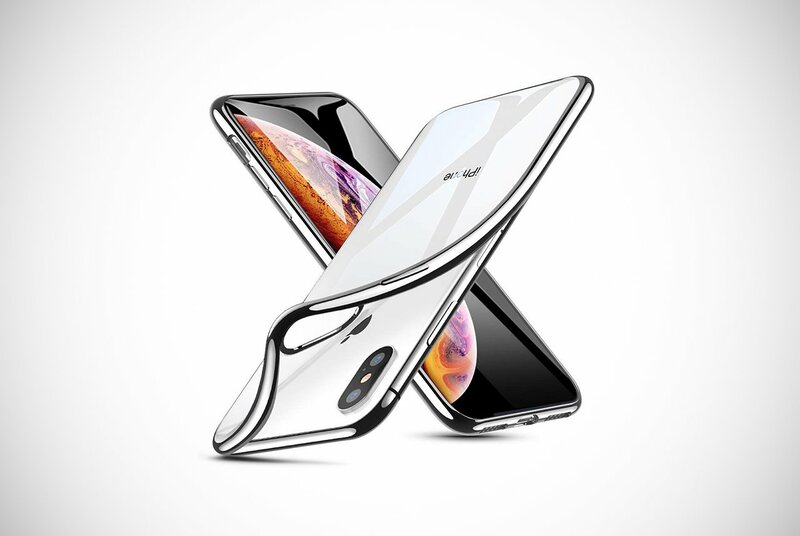 The back of these iPhone XS Max cases has a stand, so you can actually position your phone to watch videos. You can even Skype with friends and colleagues completely handsfree too. In a crowded market, this feature gets the Men’s Gear nod of approval. Next up for a Men’s Gear inspection was this slim-fit case by Caseology. Caseology sound like a brand that knows a thing or two about cases and by the looks of this case they do. You can grab it in one of four colors for an exceptional price. If you did grab one you’d be unlikely to drop it either. 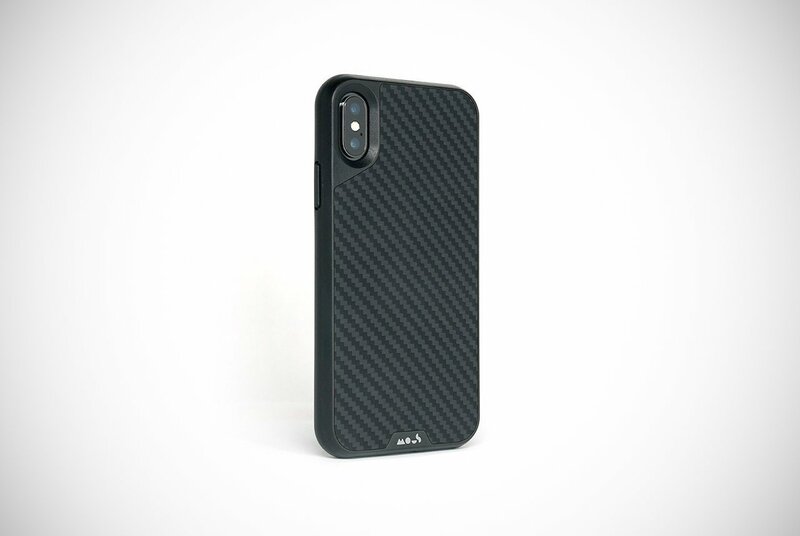 These iPhone XS Max cases have a fantastic gripping design with grooves all down the back. However, these grooves don’t just help prevent you dropping your phone down the toilet or on your venture from the bar to the pizza shop on a Saturday night. They also come in handy as shock absorbers if you were to drop your iPhone. This nice touch is topped off with durable materials and wireless charging compatibilities. No screen protection here guys! KAVAJ have produced a really cool wallet case that a lot of men are going to want. Never suffer from the embarrassment of leaving your wallet at home again! On the back, there are two wallet-like sleeves to keep your cards and notes in, so you have a backup on your off days. Despite being made of leather, the design is sleek and keeps all ports and buttons accessible. To top it all off, it allows wireless charging. 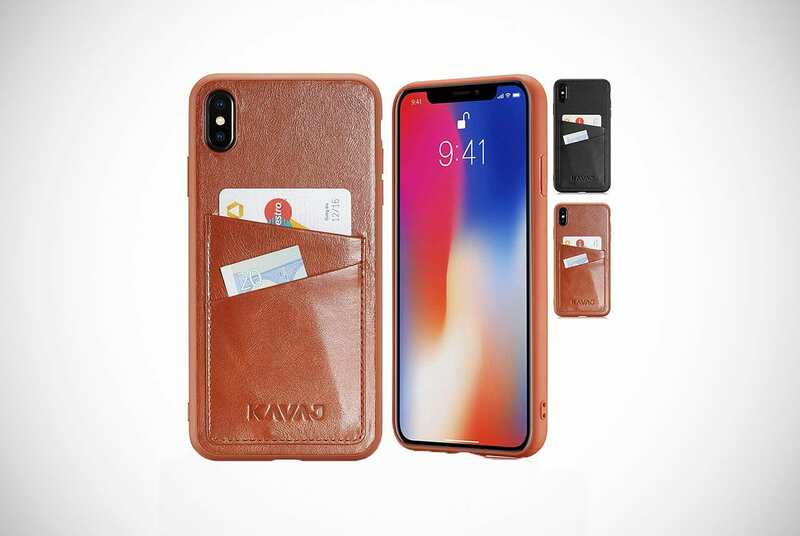 If you’re looking for convenience, you’re looking for one of these types of KAVAJ iPhone XS Max Cases. Another design that maintains a sleek appearance is the case from DIACLARA. The leather design is complemented by an electroplated silver frame to add a touch of class. 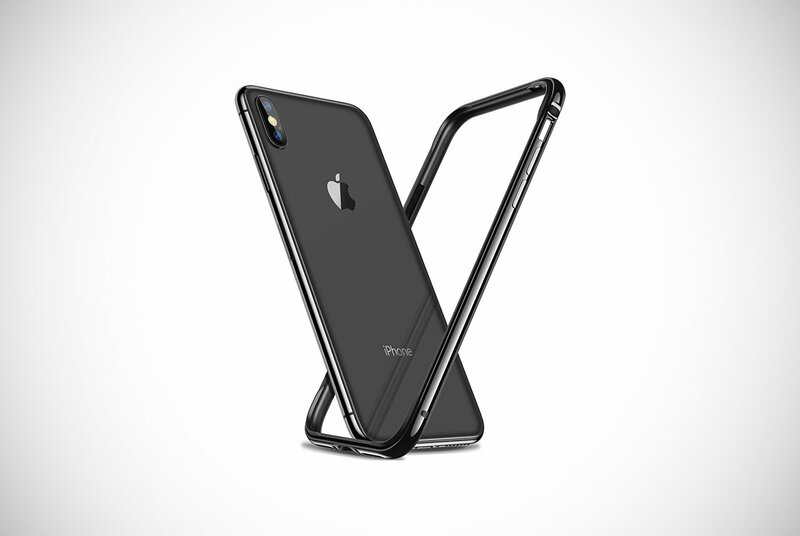 There’s also a bumper which wraps around your phone’s edges to provide a substantial barrier in the event of accidental drops. Unlike a lot of covers which can be hard and rigid, this cover is softer and more flexible. This makes applying it and removing it from your phone a breeze. The most precise measurements also mean accessing ports and buttons is no issue at all. Overall, another outstanding option for iPhone XS Max owners. Speck had some guys tucked away in a lab for a day dropping phones wrapped in this clear case. Their results proved that this is a robust case that does the job. It’s priced at a little more than we’ve predominantly seen, but still offers fantastic value for money. 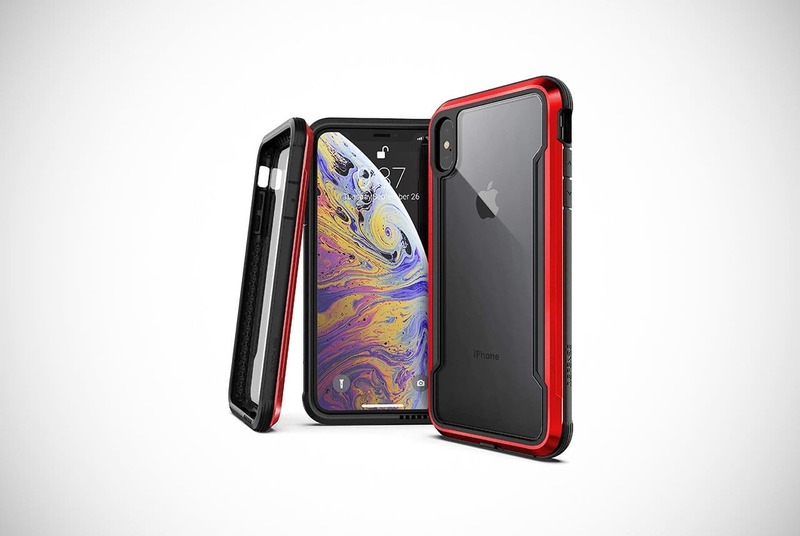 These iPhone XS Max cases are manufactured with a material that disperses shock to reduce heavy impacts in one place. This helps to protect your iPhone from significant damage. Like the previous Speck model we featured, this design also has a raised bezel surrounding the edges to protect your screen. The most notable aspect of their design is that it’s clear. They even promise that UV rays won’t turn it a funky yellow color that can be the norm with some phone cases. Thumbs up or thumbs down fellas? 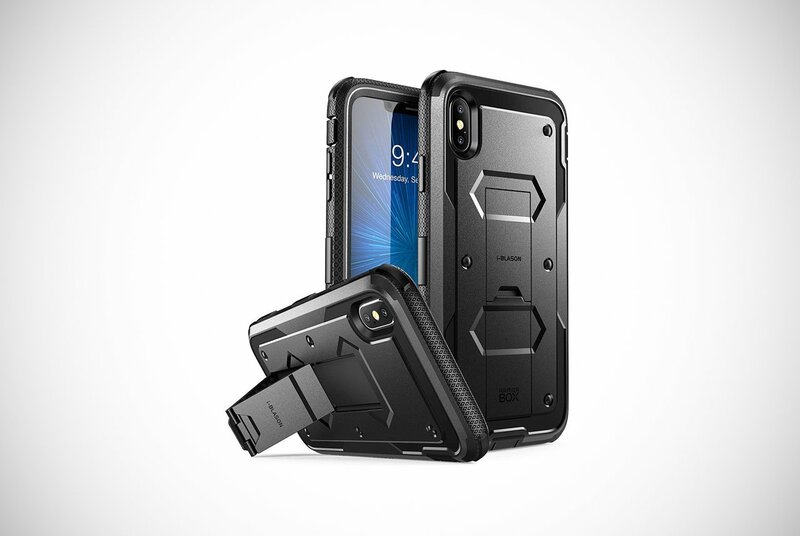 The protection afforded by this RANVOO case comes down to four clever layers. The basic layer is joined by a coating to reduce discoloration, one to prevent scratches and one to provide a cool matte finish. Bezels have been raised to provide extra protection for your iPhone’s screen and camera. One of the unique features of these iPhone XS Max cases is they’ve added a slit in the corner. This will allow you to install and remove it easier. This slit provides more convenience without detracting from any protection. There isn’t any song and dance with this product. It’s a very simple and elegant phone case for an urban dwelling gent. Especially one that owns a wireless charger! When your phone drops to the ground there are three things that are guaranteed to happen. Time will stand still, your heart will miss a beat and the first point of contact will be one of the four corners. This is why Matone designed their iPhone XS Max cases with reinforced bumpers at each corner. If the unlikely is to happen and your phone lands 100% flat, your screen and camera lens will be protected via a raised bezel. This model has a slim cover which is transparent to show off the authentic beauty of the iPhone. One last feature worth pointing out is that it has a dot design to prevent those unsightly bubbles showing up. This Ringke Fusion Transparent Case has a lot going for it. A lot of its features are nothing we haven’t already explained – we’ll reel them off in a second. What is new, is that you can attach a lanyard to the case and phone. The lanyard hole allows you to attach a lanyard of your choosing to match your phone and be another line of defense when accidents occur. As your phone drops your lanyard can prevent it from hitting the floor, saving it from eye-watering damage. Don’t worry if you don’t wish to add a lanyard because it’s been made with a dual layer of premium TPU. 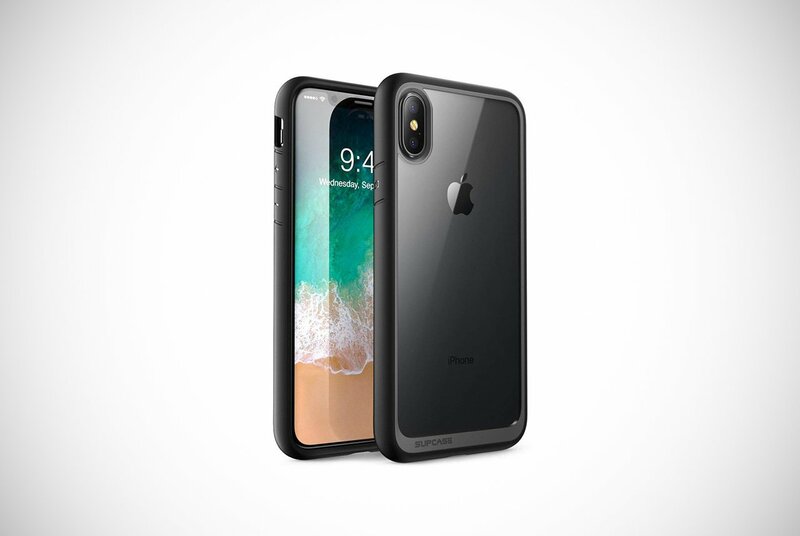 If you do drop your phone wearing one of these iPhone XS Max cases without a lanyard attached, there’s a strong chance you’ll get away with it without any damage whatsoever. You can pick this case up in transparent design or a really awesome smoke black color. 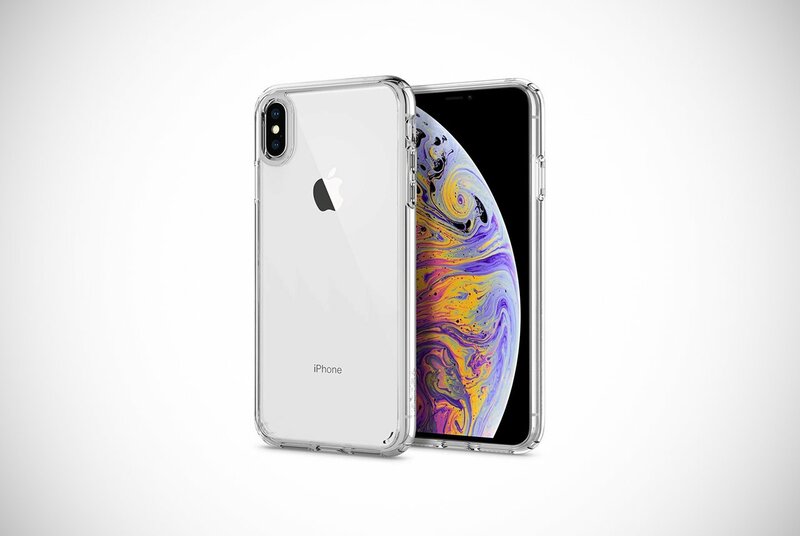 SUPCASE are at it again with these beautiful iPhone XS Max cases. If you like minimalist designs that will get the approval of every passer-by’s internal monologue, then this is for you. It doesn’t have any special lanyard hole, credit card holder, or other creative feature. 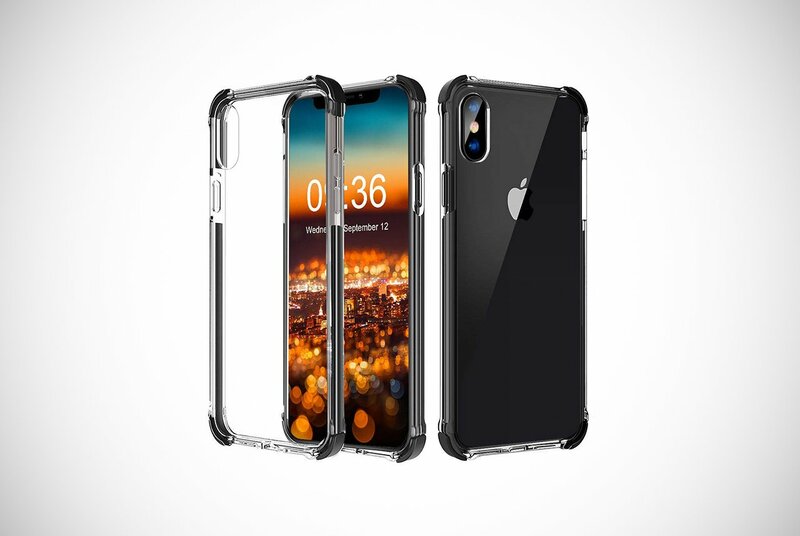 However, it does exactly what you expect from any of the iPhone XS Max cases out there. 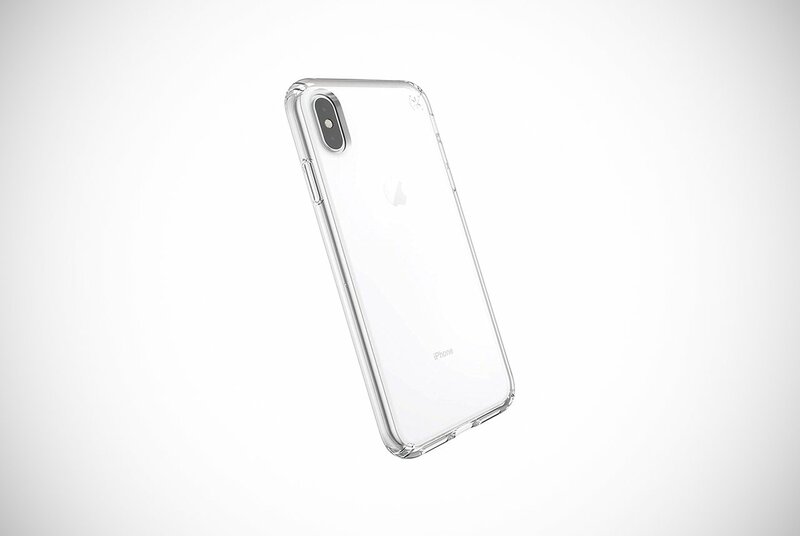 The case is made from the popular TPU and polycarbonate stuff and the back case is transparent to prevent scratches while still being able to show off your phone’s aesthetics. The bezel is raised around the screen’s edge and camera lens to give the ultimate protection to your most vulnerable iPhone XS Max parts. This is your no-nonsense choice! Pick your smartphone up if it’s at arm’s length. Where did your index finger land? Near the top of the phone pointing up? Caseology must have seen this typical mannerism of ours and decided to turn it into their advantage. They’ve added unbeatable texture in this area of their phone case to maximize your control and grip of the phone. They’ve tackled one of the roots of the problem by preventing you dropping your phone in the first place. In case you do drop it, their case should have you covered anyway. This flexible cover has been reinforced in key areas to maximize shock absorption. Other noteworthy features are its compatibility with other accessories such as screen protectors. That is if the raised lip isn’t enough for you. This is in addition to wireless charging compatibility and a choice of four quality colors. Not as stylish as others. Agree? A case you can write on and simply rub off was probably not on your list. Well, it might be now! This TORRAS design comes in many bright or subtler colors to choose from and is easy to fit onto your phone. Despite it being a bit quirky and an anomaly from what we’ve already seen it still has a lot of protection to offer. It’s made from a liquid silicone material that is scratch-resistant and reinforced on each corner. These are key areas phones need to be protected, of course. Other features include wireless charging and protruding camera edges. This is so your lens is never scratched, and your social media is always up to date with phenomenal selfies and snaps. If you’re looking to add some color to your iPhone XS Max with some personal scribbles, then you’ve probably just swiped right and met your match! You in or out? Next up is the phone case equivalent of a muscular biker having your back in a bar room brawl. This product by X-Doria is made from a combination of TPU, anodized aluminum, and polycarbonate material. This is all to provide outstanding protection that has passed military grade standards during drop tests. In fact, it’s been tested from heights of 3 meters so it’s perfect for giants as well as regular men. Additionally, it has raised elements to protect your screen and an internal rubber lining to help absorb shock. Nearing the home straight we’ll take a look at this transparent case by TOZO. This one is so slim your girlfriend might get jealous. In fact, it has a thickness of just 1mm making it lightweight and not bulky when sitting in your skinny jeans. Despite its snug fitting, they’ve kept all the buttons and ports in line with the exact specifications of the iPhone XS Max, to the millimeter. It also does the job it’s told and protects your phone immensely. It accomplishes this with flexible and soft TPU that is reinforced on all four sides and enhanced with raised bezels. Although they may have focused on having a fantastic design, these guys didn’t get left behind when it came to protection either. Transparent and therefore not colorful! If this wallet was your friend, it would be impossible to buy anything for him on his birthday. It has it all. It is another wallet design that offers users multiple card slots and a compartment to store cash. All of which are securely fastened with a magnetic lock. It also has one of those kickstands we saw on the i-Blason case, so you can watch movies and video chat seamlessly and handsfree. All this convenience is as well as exceptional protection including reinforced corners. This bumper-only design by RANVOO has a lot of what we already saw including exceptional and durable materials designed in a way to afford peak protection. These iPhone XS Max cases have become quite popular, and looking at their features, we can see why. Instead of reeling these off to you again, hit the pros tab below and we’ll focus on two of its most innovative features instead. They’ve included a silicone junction in a key area to prevent your phone case reducing your mobile reception. This can be a common fault with some cases and this clever way of overcoming the issue will keep you in the loop at all times. They’ve opted for just a bumper rather than an all-out half-body or full-body case, which is interesting for sure. RANVOO chose to maximize heat dissipation, so your phone stays cooler. No overheating timeouts needed here! The penultimate and final VRS Design product we have for you today. These iPhone XS Max cases are clearly tremendous, which doesn’t shock us knowing VRS. This is a clear case, but you can make it more personal by getting different colored bumpers. 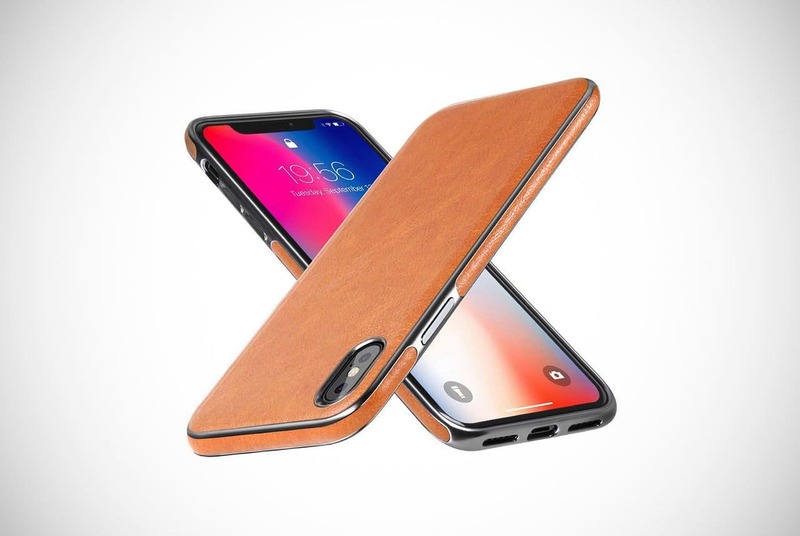 This is a great option if you’re undecided about showing off the natural finish of your iPhone XS Max or adding some more color. It’s a TPU design with the protection you’re familiar with by now such as raised bezels. Despite being a clear case, you won’t get any of those yellow shades appearing on it. They swear it’s an anti-yellowing case, even though they don’t say how their long-term customers are backing them up. It’s also got wireless charging compatibility. Shrug of the shoulders or a big yes? 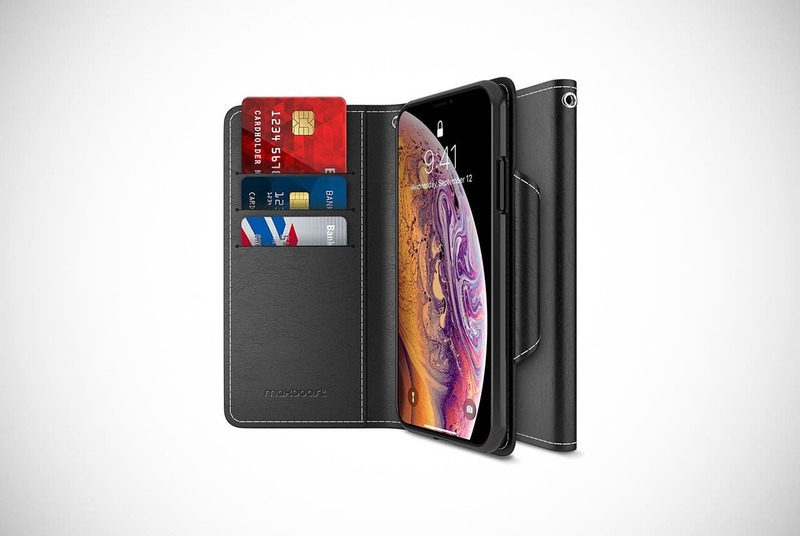 To finish off we’re going to show you a popular leather wallet-type of iPhone XS Max cases that go against the grain. Most of these designs come across a little clunky but this one somehow maintains a sleek feel. They remain insanely popular mostly due to what they bring to the table and how efficient they are at doing their job. This simply protects your phone, and does it incredibly well. This soft case is made with genuine leather to provide both style and protection. The vertical slot is perfect to add a gym card, a train pass, or a business card. You can get one of these wallet-come-cases in three different colors and we love every one of them. Yes, Ja, or yeah!? Thanks for sticking with us for such a longer-than-usual list. Believe it or not, this is just a snapshot of the different iPhone XS Max cases currently available. However, we believe these are the best of the best. There are some exceptional cases that prioritize protection, convenience, and style. We sincerely hope you managed to find one that works for you. Just don’t go preparing for those mobile throwing championships without one! 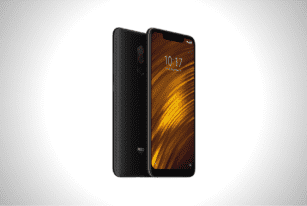 A new upstart is poised to take over the smartphone market called the Pocophone F1 with its Qualcomm Snapdragon 845 SoC that matches most flagship models. 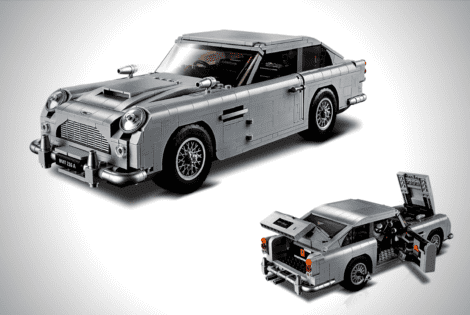 Few cars are as iconic as James Bond's Aston Martin DB5, which was featured in Goldfinger, GoldenEye and Skyfall, and now you can simply get it in a LEGO version.